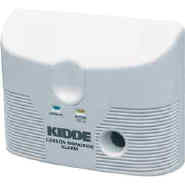 Easy installation - that's what these Direct Plug-In Carbon Monoxide Alarms offer. Just plug them into any AC wall outlet for protection against dangerous levels of carbon monoxide. The digital display feature also allows easy viewing of carbon monoxide levels from 30-999PPM (parts per million). These alarms are UL listed.